The appellate court’s decision in the case of Courvoisier Courts, LLC v. Courvoisier Courts Condominium Association, Inc. hinged on the association’s declaration of condominium, which states that the association would receive all parking spaces and storage areas that are left unassigned after the developer has sold all of its units. The panel found that the parking and storage spaces in question did not become the property of the association upon turnover, and the developer retained the right to assign the exclusive use of these limited common elements until such time as it had sold all of its units. A report on the ruling from the Daily Business Review on December 27, 2012 quoted De La Torre indicating that “The lower court ruling said basically that all of the assignments made since the turnover were invalid. 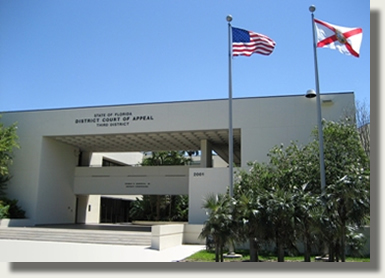 [The appellate decision] means we get our parking spaces back, [and] it’s a very significant opinion.” He, Manning-Hudson and McConnell believe that the trial court’s interpretation of the condominium’s declaration in this case could have set a challenging precedent for condominium developers in Florida. Click here to read the Third District Court of Appeal’s opinion for the case.